Kids just seem to make every holiday more fun, don’t they? We’ve been having a blast getting into the Halloween spirit and here’s an improvement on a classic activity. 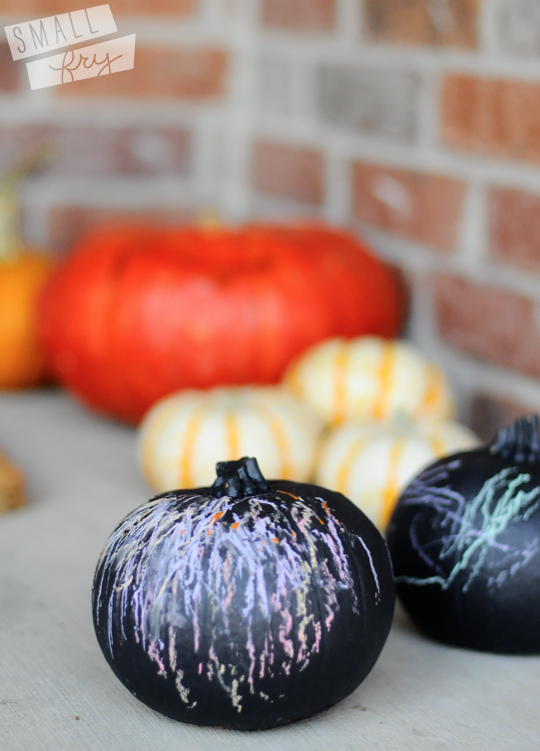 We are loving these chalkboard pumpkins for so many reasons: but first, hardly any mess! You can paint the pumpkins ahead of time and then let your kids chalk up, erase, and repeat all month long. With no cuts being made to the pumpkin, you don’t have to worry about the shrivel-effect and your painted pumpkins will last you until Christmas if needs be. This is the cutest idea ever!! Wouldn’t it be cool to find glow in the dark chalk?! It’s gotta be out there. i seriously LOVE this idea. and this whole blog too- you ladies got something fab going on here! I am seriously loving this idea. Too bad my little guy is only 6 months old. I can still do it for my own enjoyment though right?! 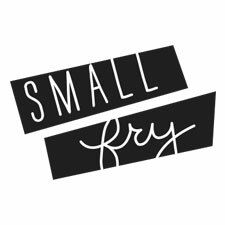 Everything about your blog is perfection, a breath of fresh air as a new mom that is eager to watch and encourage my Ida growth and development. Thank you for sharing the world through your mommy eyes. That should have said kids* growth, not Ida? I love this craft! But the neighbour kids came over and drew on my pumpkin. Not Cool! laughing out loud. we edited your comment a bit because our grandmas read this blog, but you’re right, not cool at all! Felicidades por vuestro nuevo Blog! Me encantantan todas las ideas que nos proponeis. Esta calabaza es preciosa. Gracias. I SO love this! I already have chalkboard paint and was wondering what I could do with it. Thanks, Gals! excellent idea without all the pumpkin guts! I’m trying this! Genius babes. Loving this pretty pretty blog. That’s great. I made a chalk board last year but to use random things to make into chalk boards is really awesome. Love this.